Electric cooperatives are nonprofit organizations owned by the members we serve. Every year, any profits from the operation of the business are credited back to our members, and are called capital credits. We keep a record of the amount of money each member is due, and each year we send a notice to our members to let them know the amount they earned. The profits are allocated back to our members based on how much energy they used in that year. Our board of directors determines the schedule for repaying capital credits. Many times, members have moved away from the area, and we have a difficult time locating them. It is very important for former customers to keep us informed of their current address so they will receive their checks. As of December 31, 2014, we've returned over $36,350,000 to Ouachita Electric members. If you have questions about unclaimed capital credits, or would like more information about our capital credit payment history and plans, simply email your request or contact us by phone at 877-252-4538. The retirement of capital credits is the tangible demonstration of your ownership in Ouachita Electric Cooperative. 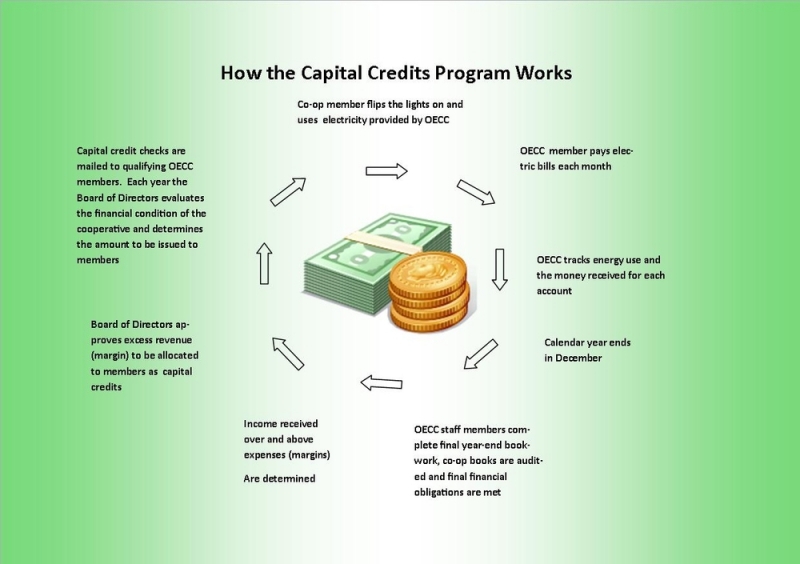 As a member-owned cooperative, OECC operates as a not for profit utility. This is accomplished through the retirement of capital credits. Later this month checks will be mailed to cooperative members from 1994. Any profits made by the cooperative are referred to as margins. At the end of each year, the margins are allocated to each member in proportion the amount of electricity they purchased. The more electricity purchased, the greater the share of the margin allocation that will be made to the member’s capital credit account. 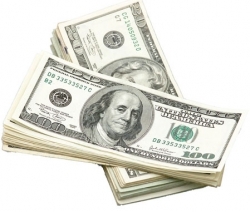 We have been allocating capital credits since 1939 and have returned more than $36,000,000 to our members. When the allocated funds are returned as capital credits to members of the cooperative, we say that those capital credits have been retired. The allocation amount for 2011 is $9.27601 per thousand Kwh purchased from the cooperative in 2011. Before distributing capital credits the Board of Directors at OECC must consider the financial condition of the cooperative and the needs for capital funds for the coming years. This year’s retirement will be the 33rd consecutive year that OECC has been able to retire capital credits to the membership.